When people write to me to ask what the best tools are for a beginning blogger I think this over very carefully. The tools can vary depending upon the blogger’s niche and what goals they want to accomplish. A blogger’s job encompasses so much more than being just a writer. A blogger is also a marketer, a publisher, an editor, a creator, a designer, a proofreader, a researcher and more. There are a ton of excellent resources designed to make a blogger’s work more efficient and manageable and it’s almost a job in itself deciding which ones will do the best for you. The following contains some affiliate links which allows this site to exist. Please read my disclosure here. 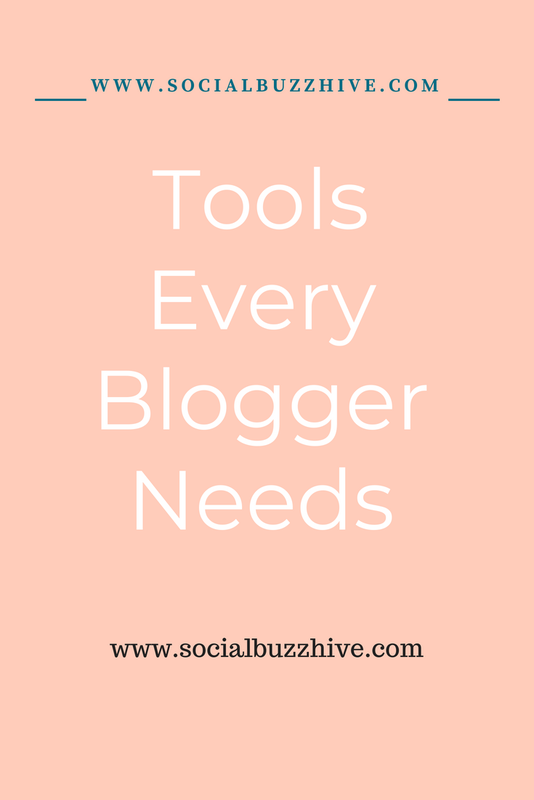 This list of blogging tools below are the ones that work the best for me, save me the most money, make me the most money and I recommend to my audience hands down. It is really trial and error and I’ve made some edits along the way. Please feel free to comment on your favorites below. I started out with Mailchimp because, I have to admit – it’s FREE and very simple to use. I recently transferred over to ConvertKit. It’s designed just for bloggers and creators. I am amazed so far at all the ways it’s been helping me to automate and build my email list. Edit- I have since switched BACK to Mailchimp because I didn’t feel justified spending the money on Convertkit. It is quite pricey at almost $30 per month. If you have a lot of traffic and subscribers I do recommend it. But in my case unfortunately I had some issues with their customer service in terms of the length of time they took to get back to me. For the amount I was paying I felt it could of been a lot better so I switched. Email is the highest converter for growing your business so it’s really important to have a provider you like. My first blog was built on Squarespace which is great if you want a beautiful, simple website. They do have some very attractive themes to choose from. But if you’re a Blogger you definitely want to be on WordPress.org. Update! My blog redesign was done by corinaramos.net on the Genesis Framework – she did a fantastic job and was super speedy! I highly recommend her. Read my review on her site! Getting back to WordPress.org. It is a self hosted site (not free) made just for bloggers. They have unlimited themes, and a ton of free and pay for plug ins to make your site operate exactly as you want. It is easy to navigate and there are tons of tutorials, video guides and group boards if you need information. The best thing is that you OWN it so it can’t disappear into cyberspace. You can monetize it as well, which you CANNOT do if you’re on a free site like blogger. I chose Bluehost. I found Bluehost to have very low competitive prices, only $3.95 per month, top speed, 24/7 support, excellent security and it’s trusted by more than 1 million domains! I’ve NEVER had an issue and switching over from a more expensive company was seamless. With the overload of information out there it’s almost impossible to put together a comprehensive strategy to blog properly without being completely overwhelmed. All the guaranteed ways to make money from your blog from the very start even if you have low traffic. Freshbooks: Freshbooks is a small business accounting software service (similar to QuickBooks) I use for my blog/freelance business. It helps you keep track of your income, send invoices, and more. You get a HUGE amount in savings with FreshBooks as compared to the ridiculously high rates that PayPal charges! My original theme was from a fantastic UK company called PipDig. They have beautiful magazine style themes, seamless integration from other hosts and fantastic customer service. Really great prices too! ***New website done by Corina Ramos. Theme: Wellness Pro – Built on the Genesis Framework. I always turn to Picmonkey they have everything you need for the beginner or expert to turn make your image ideas turn into life – photo editing, collage making, graphic designer. I am in no way a designer and Photoshop is above my head so this works for me! I also use Canva because it’s FREE, drag and drop, simple and so easy to use! If you’re looking to turn your blog into a full time or even a part time business I’d definitely recommend Deluxe Business Services. 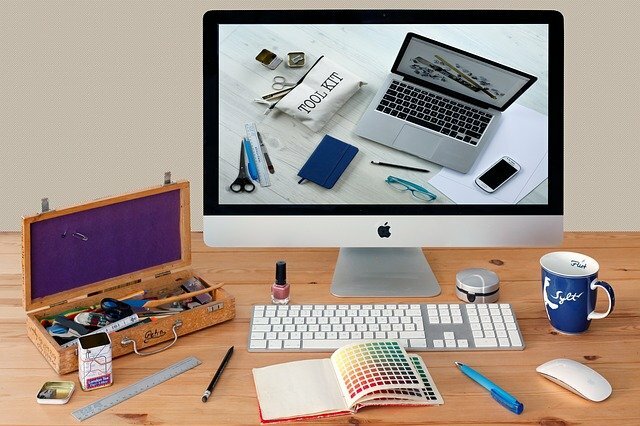 They have all the tools you need to help you with the trillion different details of running a small business from logo and website design, business forms and office supplies, to SEO services, to Payroll, to Marketing Business Kits and more. Plus they have a quick turn around time and low prices! You can get 10% off with this link. WordPress Help, SEO, Design & More! Have you ever heard of Fiverr? You really need to check it out! Register for a free account to see everything they offer. It is a service marketplace where people from all over the world list small jobs that they will complete as low as $5. Some examples of the types of “gigs” you can buy on Fiverr include: logo design, video editing, voiceovers, proofreading, translation, t-shirt design, business card design, WordPress help, and much more. As a blogger you need so many random things done that you’d need to clone 5 of you to do so. Fiverr is an excellent source for taking care of the many little details that blogging requires and many times it is much easier (and cheaper) to hire someone for a small job, then taking the time to learn how to do it yourself! I use Share-A-Sale to increase my sales, generate interest in my site with products I stand behind, and develop my brand. It’s super easy to use and there are tons of merchants to choose from. Whether you’re new to affiliate marketing or been at it for a while this company that’s been around for over 16 years can help you find a sponsor for your web site. And you get paid for your great content. It’s a win win situation! If you’re new to the world of affiliate marketing and want to learn how to make a passive (while you sleep) income I highly recommend you check out Making Sense of Affiliate Marketing by Michelle Schroeder Gardner. I make over $4K per month with various affiliate marketing programs. It’s a method I highly recommend for bloggers. Revive Social is a very useful tool for increasing your traffic. Revive Social Network can help you to build a strong social circle and grows your professional network by sharing content from other websites in your industry on your Social Media accounts. Set it and watch your social circle grow automatically. Revive Old Post helps you to keep your old posts alive by automatic sharing them and driving more traffic to them from social media networks. Set it up once and you’ll never have to worry about your old posts again. Tailwind has helped me go from 200 views to over 148K in a matter of a few months! They are the best app to amplify your social media following, schedule, analyze and expand your reach. This is another one of my favorite plugins that I use on socialbuzzhive. It includes social share buttons that make it easier to share your post and also keep count of how many times your post has been shared. Social traffic is so important to your site, and much of it is a direct result of this plugin. After I installed this plugin I saw an immediate increase in shares. I have it setup to include Facebook, Twitter, Pinterest but you can customize it to whichever social networks you prefer. Like most services, the paid version is the one you want if you are a professional blogger… the features are limited without it. The good thing is the paid version is only $29/yr. Click here to order. Hands down if you want simple marketing advice on how to get your blog read and seen by thousands, hundreds of thousands – make that millions of people – Sign up for my Ultimate Checklist how to promote your blog posts! I’ll send you tips every week about the best ways to grow your traffic fast. They’re packed full of everything you need to know to skyrocket traffic to your website, help you gain a rapid following and convert more customers. Pinterest eBook – I love this eBook from Ana of the She Approach. It’s a step by step guide to How to Grow Your Blog With Pinterest. An invaluable tool to getting major traffic and page views from Pinterest. A must have for new bloggers. Jaaxy keyword research tool is a favorite of mine. So many others are time consuming and confusing. Jaaxy makes it easy to pinpoint your keywords to get you the most advanced keywords for your niche on an easy to use platform. Resume Writers – Top rated resume service for students, professionals and executives or anyone who needs to make a career change. When I wanted to update my resume I used them because their rates were quite decent. Virtual Receptionist – If you have a small business and don’t have time to answer the phone yourself, don’t want a machine to do it and don’t have the budget to hire a full time receptionist why not hire a virtual one? Gabbyville has awesome live receptionists and answering services for reasonable rates! Try them for FREE for 14 days. Hey! We all gotta eat right? Now that I’m older I simply don’t make as many homemade meals as I’d like to. However, I found I was spending a bundle on eating out as well as shopping for food and always getting more than what was on my list – I thought this is ridiculous! I started a free trial of the $5 Meal Plan – and my wallet is really happy I did. It’s a great way to save money and it’s a much healthier choice than eating out. If meal planning is not your thing though, I highly recommend trying the $5 Meal Plan. This is a weekly meal plan service that can make your meal planning super simple. For just $5 per month, you will receive a delicious meal plan, where every meal will cost about $2 per person (or less). It’s a great way to save time and money, plus they offer specialty plans, including gluten-free and vegetarian meals. Click here to try it free for 14 days. Sunbasket is another time saving meal site that does home deliveries. Honestly, I sometimes forget to eat I get so obsessed with writing and social marketing and everything blogging entails and shopping is one more nuisance! Sunbasket is Organic produce, clean ingredients, and delicious recipes delivered weekly. And last but not least! Patience, faith and diligence are the best tools for a bloggers toolkit! It takes time to build a successful blog. Sometimes you feel you could use a whole team of helpers. Not to worry, once you have the foundation going everything else will fall into place:) The above tools are really the best sources to get started with in the quickest and most efficient manner possible. Happy Blogging! Please share or comment below! What are some of your favorite blogging tools?